Stefan Plier is leading a team of corporate key experts tasked to deliver consulting, solution support, and assurance of privacy compliance for Siemens’s diverse global business units and corporate functions. In this capacity, Stefan reports to the Chief Data Privacy Officer of Siemens, one of the largest engineering companies with a local footprint in more than 200 countries. Stefan holds a master degree in computer science and has worked in IT for 20+ years, focusing on IT-Security and Know-How-Protection by implementing security in processes, applications, and transactions, including merger and acquisitions or carve-outs. Stefan added Data Privacy to his portfolio in 2004, when he became Group Data Privacy officer for the industrial services and solutions group and later for the Siemens industry sector before moving on to the Corporate Data Privacy team. Current responsibilities, inter alia, include data privacy in the context of group-wide, global IT applications, data privacy impact assessments, cloud projects, litigation cases, internal compliance investigations, and data requests by authorities. 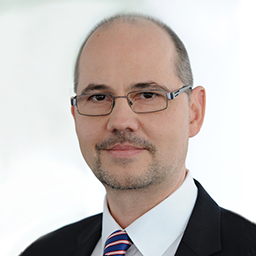 Stefan is a member of the German Association for Data Protection and Data Security (GDD) and holds a certification in privacy management by the University of Applied Sciences, Ulm. He is also member of the International Training Faculty of the International Association of Privacy Professionals (IAPP) and is holder of the CIPP/E and CIPT credential of the IAPP. Data Mapping & Verarbeitungsverzeichnis: Empfehlungen für die Praxis!